Absence from work is an employee’s basic right, but too often it can be abused, which results in operational and financial damage. If not managed correctly, employee absence can also expose your organization to the risks that arise from non-compliance with the law. 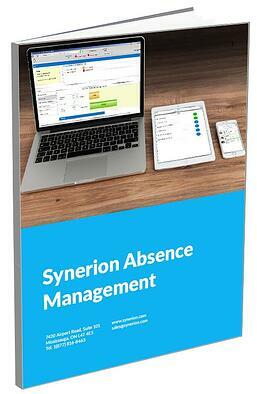 Find out how the Synerion Absence Management System will help supervisors and department heads to plan ahead for absenteeism and keep your production moving forward.